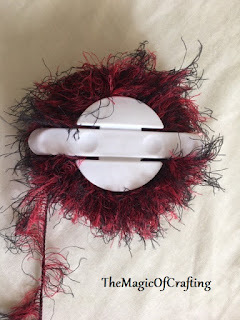 Do you have some beautiful eyelash yarn and no idea what to do with it? 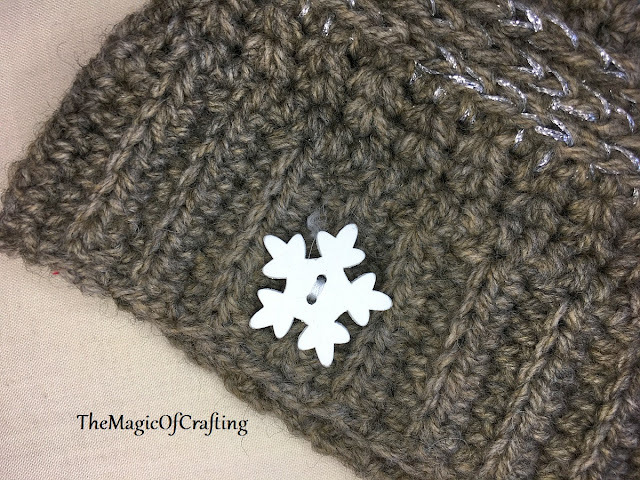 The eyelash yarn is great for different borders- for hats, sweater, afghans... 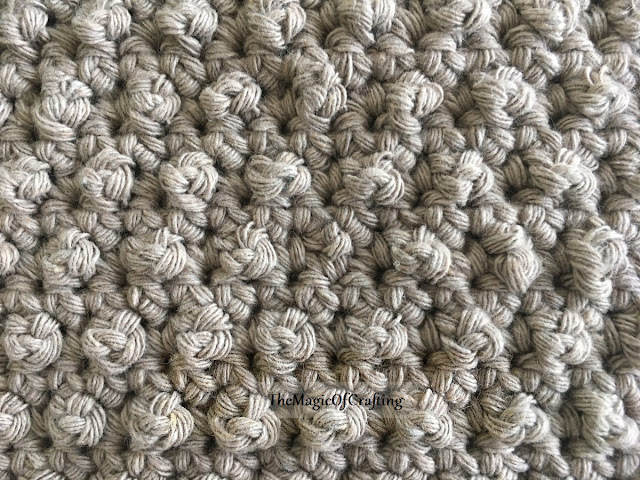 It is hard for crochet and you normally want to use bigger hook and any basic stitch - single crochet is perfect. Or... you can make is pompoms. Yes, that’s correct! 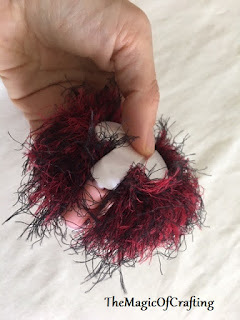 Some eyelash yarn is great for making pompoms. 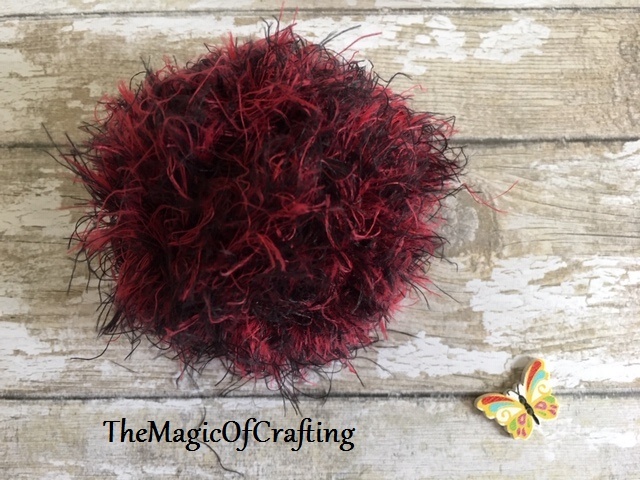 Just check the photo of this lovely pompom made with eyelash yarn, isn't it beautiful? 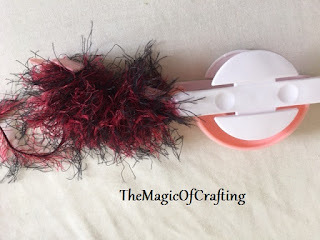 Making pompoms with eyelash yarn uses pretty much the same technic and tool as you normally use for any other pompom. It just takes some time to get use of it. Used yarn - YarnArt Rabbit, I'm not sure how this colour is named but it is lovely. Wrap around one side of the pompom maker. 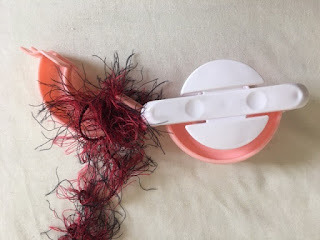 This is how your pompom maker will look like at the end. 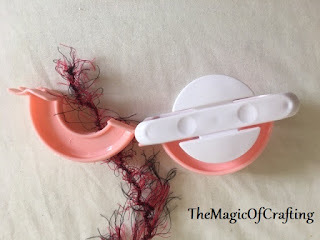 Now cut the yarn off of the sides of the pompom maker and tie the pompom with yarn. 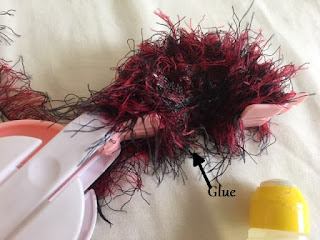 Remove the pompom maker and cut around the pompom. 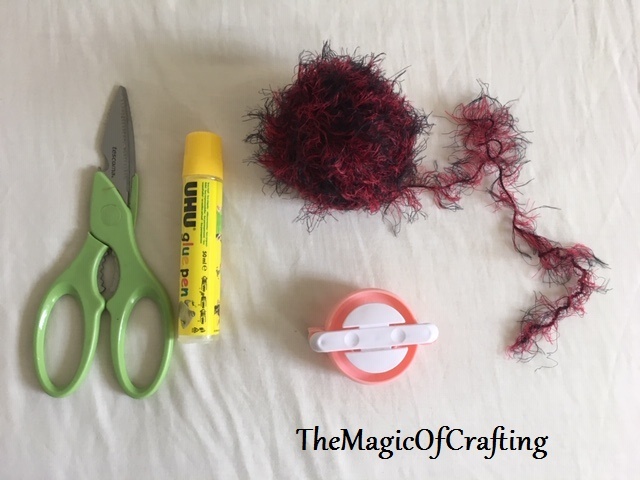 Form the pompom with the scissors. 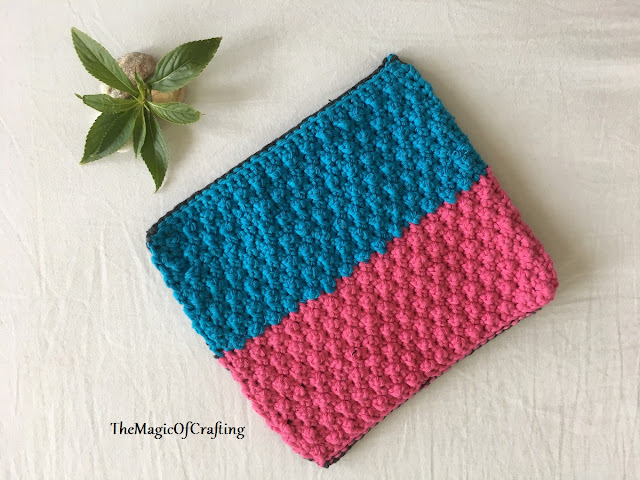 Check also my crochet patterns section. 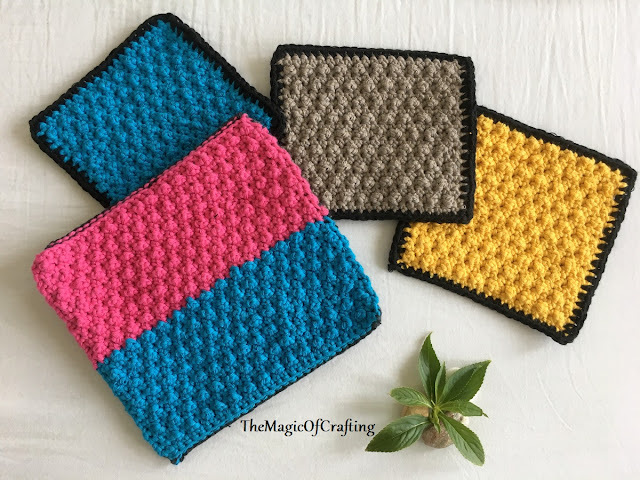 These crochet dishcloths are perfect for cleaning the dishes or any kitchen surfaces. 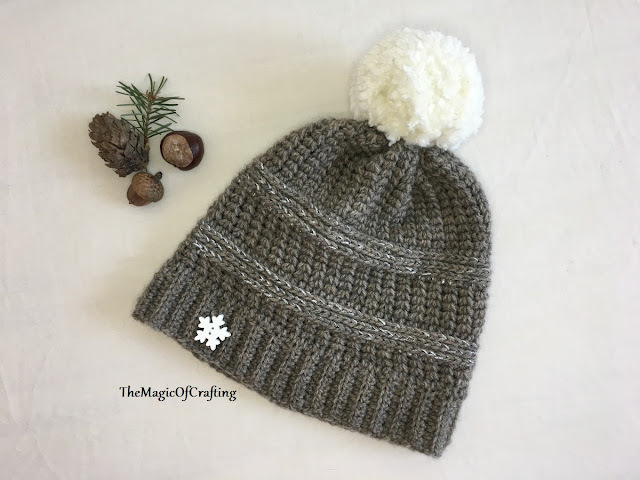 They are easy to make, can use any leftover yarn (cotton is preferred as it absorbs well and can be washed at high temperature in the washing machine). You can do them in any sizes and bring colors in your kitchen. 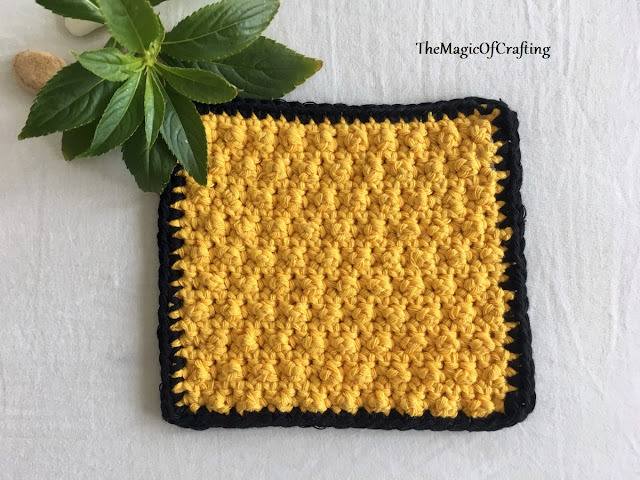 Finished size: 5.5in x 5.5in (14cm x 14 cm) for the small square, 8in x 7 in (20cm x 18cm) for the big dishcloth. I made it double sided so it can be used as hot mat. Chain even number of stitches (22 for the small dishcloth, 32 for the big one), sc in second st from hook, sc in each ch, ch 1, turn. Row 1: Sc in the same st, * ch 3 in next st, sc in next st *, repeat *-* till end, ch 1, turn. Row 2: Sc in each st till the end, ch 1, turn. Row 3: Sc in same st, sc in next st, *ch 3 in next st, sc in next st*, repeat * - * till 2 st left, sc in the last 2 st, ch 1, turn. 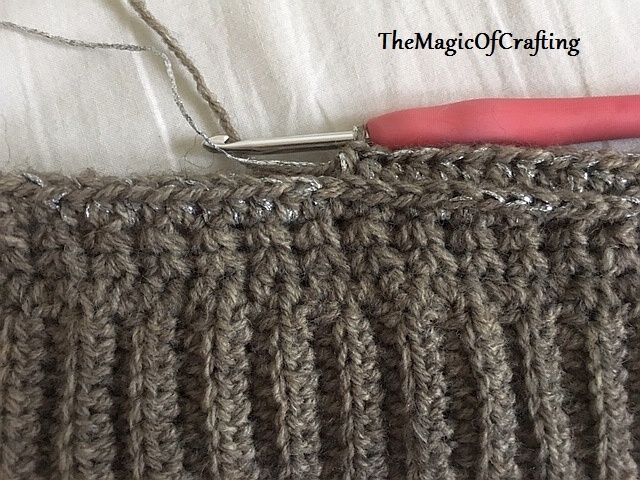 Repeat row 2, 3, 4 for the pattern and make the dishcloth as long as you want. The big one is double sided - the back side is made of sc only. 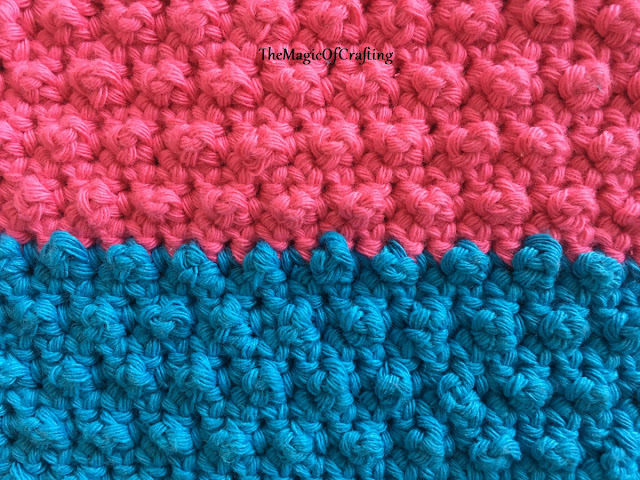 Border: The border is just a row of sc around the dishcloth, each corner is made of 3 sc in the corner stitch.